From setting the thermostat from across the room to creating a grocery list while doing the dishes, consumers continue to capitalize on the convenience offered by digital voice assistants. 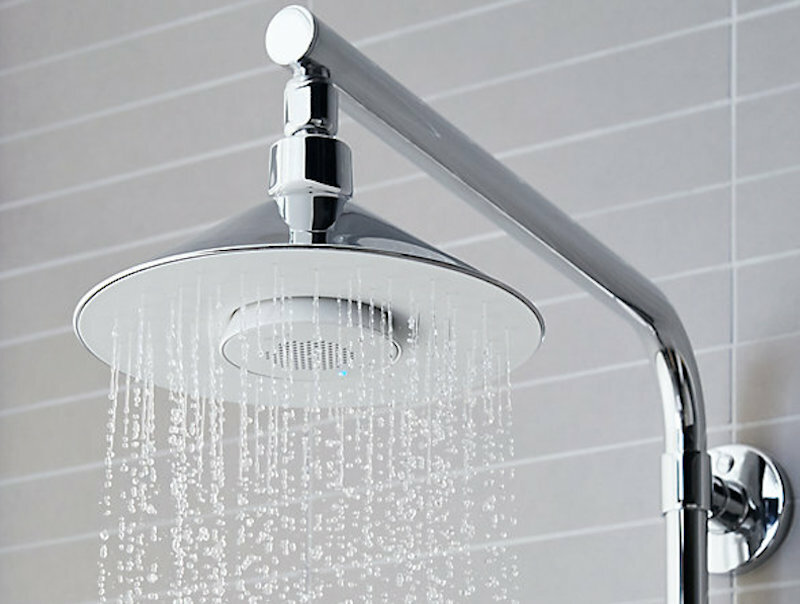 The KOHLER Moxie Showerhead and Wireless Speaker uses Bluetooth technology to stream your favorite music directly into the shower. Some of the KOHLER Konnect products include the Verdera Voice Lighted Mirror, which has a built-in voice assistant allowing you to adjust lighting levels and even check your calendar using voice instructions. 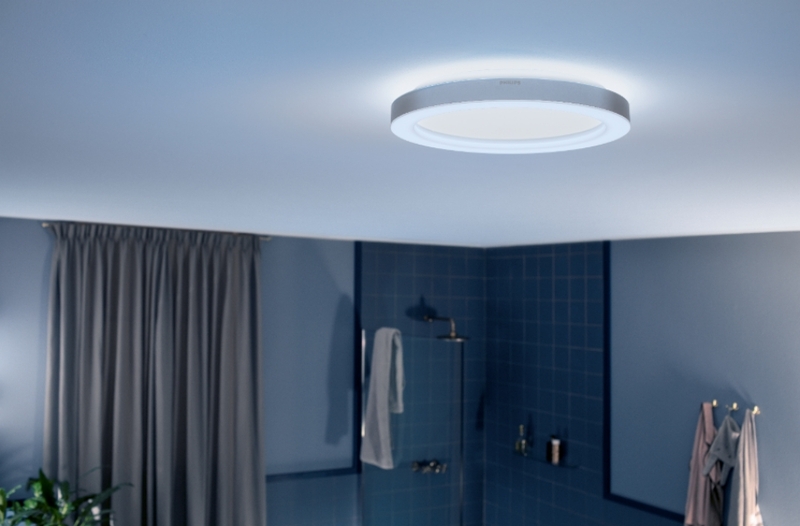 With Philips Hue and the new Adore collection, you can always have the right lighting in your bathroom. All it takes is a tap in your Philips Hue app or a press of the wireless dimmer switch that comes with our lighted vanity mirror and ceiling fixture to set the light to support your need. the new technology allows you to shave or apply makeup under a crisp white light or turn on a very dim light to help you navigate to the bathroom at night. This entry was posted in Custom Home Building, Design. Bookmark the permalink.